With the ongoing displacement crisis in the Diffa region and along the border with Mali and the continued influx of migrants traveling via Niger migratory routes, Niger remains a humanitarian hot spot. Meanwhile, the humanitarian community is facing significant information management (IM) challenges. Streamlined tools for data collection and data analysis, comparable and shared data sets as well as the capacity to interpret gathered information correctly are vital for an efficient and impactful humanitarian response, yet often hampered by a lack of resources or limited technical capacities. With the support of EU Humanitarian Aid and USAID, REACH has established an Information Management Support Centre (‘Centre d’Appui à la Gestion d’Information’ (CAGI)) in Niamey and Diffa, offering a range of activities to strengthen IM capacities within the humanitarian community. Since June 2017, REACH has provided technical trainings in collaboration with OCHA and within the framework of the Information Management Working Group as well as directly to individual clusters and partners. To date, 10 technical trainings benefitting over 165 participants from across 60 different organisations and governmental bodies have been carried out. Topics of the trainings included applied mobile data collection and collection of GPS coordinates in the field, data analysis with Excel and introductions to commonly used GIS software and other cartographic tools. In addition to these trainings, core activities of REACH CAGI include direct information management support to humanitarian partners. Humanitarian actors in need of IM support can approach CAGI with data analysis or map requests. Around 80 customized maps, visualizing humanitarian data, have so far been produced on demand and more than 350 hard-copies of humanitarian maps have been distributed to donor and coordination audiences as well as to implementing actors on the ground. 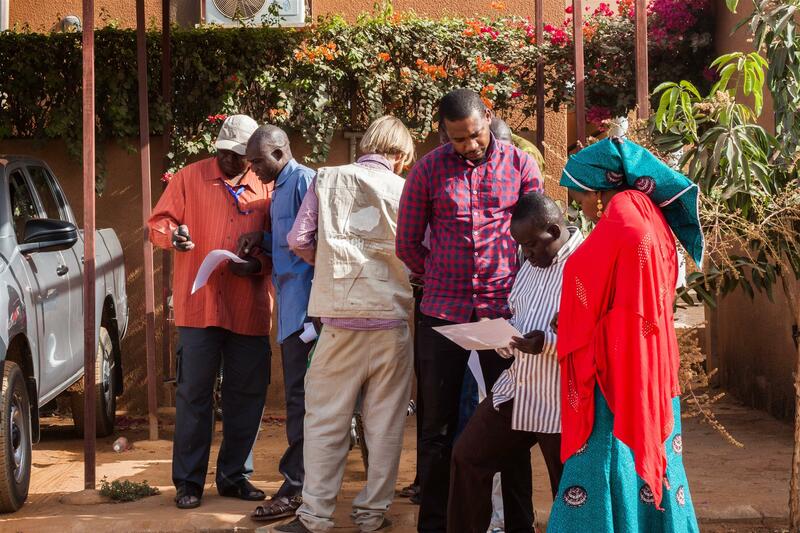 Beyond capacity building and on-demand IM support, REACH CAGI has tackled structural issues hampering stronger humanitarian information management practices in Niger. Between July 2017 and January 2018, REACH CAGI played a key role in the development of an updated dataset of the administrative boundaries for Niger. This data set is now endorsed as a common operational dataset (COD) serving as a reference for the humanitarian community and widely shared through OCHA via HDX. Although these activities have contributed notably to increasing standards in information management in Niger, much work remains to be done. In 2018, REACH will strengthen its IM support through CAGI, engaging with partners to design trainings further tailored to their needs, providing direct support where most needed, while identifying additional structural IM issues to be tackled in collaboration with the humanitarian community. Please find more information here in English and French.